Choruses and Quartets are working hard to reach out to a new generation. 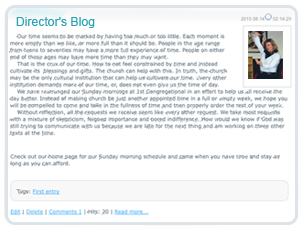 An inviting and dynamic website is an absolutely essential part of building an enthusiastic community. Our mission is to provide the chorus community with the latest technology that makes your site engaging and easy to maintain. Connected Sound provides you with an amazing array of design styles as a starting point. Once you've chosen the one that fits in with the vision of your chorus, a real designer will work with you to customize it, and make it your own. 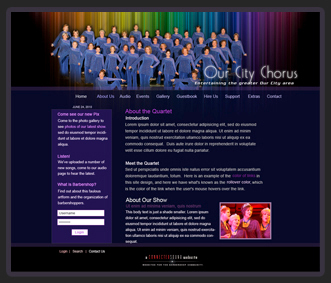 Once you've approved your design, we receive from you images and some basic information about your chorus, and then we work that material into your site. If your chorus wants a consistent look or theme that runs through your marketing material, you may want to consider getting business cards with Connected Sound as well. 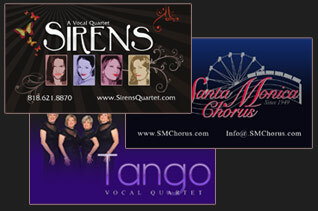 All Connected Sound websites have matching business card designs available. We will send you proofs of the business cards for your feedback and approval before sending the design to the printer. Once the cards have been printed, they will be in the mail to you within 3 business days. Future reprints are equally quick. We provide a Search Engine Optimization service to help your chorus get better search engine page rankings. 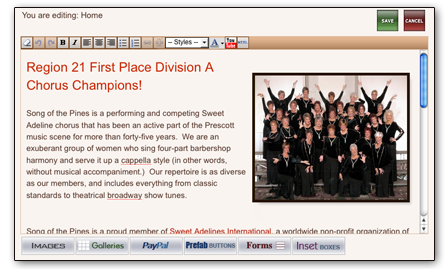 Many choruses are having success raising additional funds by selling a variety of products featuring their logo or chorus name. 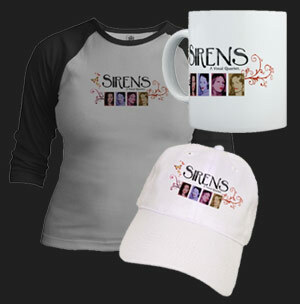 Using a service called CafePress, we can set up an online store for you, upload your images and place them on your products. And the best part: we build the product page right into your Connected Sound website. We at Connected Sound are committed to making your website experience as joyful and easy as possible. 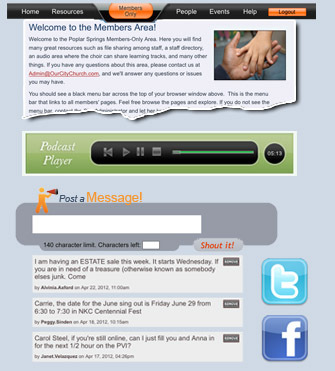 Connected Sound websites come with free design and free setup, and a $29.99 per month hosting fee.